Work, the final frontier…….Another day. Tuesday morning, weather was a little bleak for summer, though it was a little relief from the hot weather. This morning, I was meeting Michael for a breakfast, and I decided on The European. If you remember my visit to The City Wine Store, well this was next door. I am not sure whether it is the same establishment, but it seems the case. I knew that this would be good, considering that is rated quite highly in the Age Good Food Guide. It also should have made up for the toast breakfast I had at City Wine Store.!!!! I ordered of the specials menu, one of the rare occasions that I can, considering that most f the time there is something that is ‘meaty’. 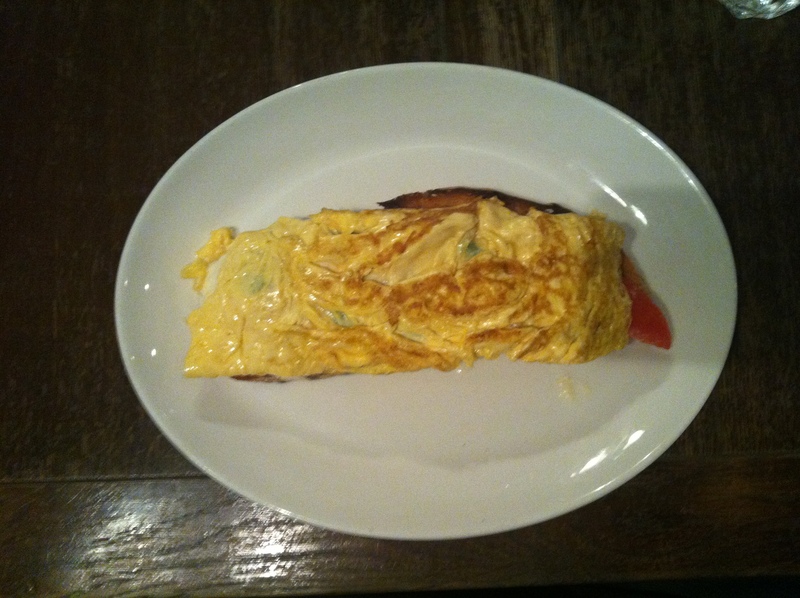 Omelette filled with tomato, basil and mozzarella cheese. This sounded nice, and rich. Fresh orange juice as well. On my way, I had a take away coffee from 65 Degrees. I have always liked their coffee, and today’s house blend was no different. Beautiful. This was good. Really well cooked, all the right ingredients, as well and a very good consistency to the omelette. All the flavours worked well, and really no complaints. Nice 🙂 The orange juice was pretty good too. 7. This was good. Really enjoyable, good service, nice ambience, though this was 7:00am in the morning.